Welcome to the new world of Mid-Evil beginning here on phocas.net with the arrival of Aldrin The Great's New original Progressive Drum & Bass ALbum entitled Imagination. In this his 3rd Album He pulls upon his life long experiance as a musician and his years of DJ skills to combine them with his love for electronic music and drum & bass creating a new sound all his own. When asked why he changed his stage name he replied "I found out there was annother DJ out there with the name DJ Aldrin. I thought I had come up with an original name when I took it on back in 2000 but I guess not. So now since I perform Live PA I wanted to have a new name for that anyway. So, I asked a few friends what I should change my name to and ended up going with Aldrin the Great. I still get the name recognition I worked so hard to achieve and dont have to worry about using some other DJs name." To co-enicde with the launch of his new album here his website, MidEvilRecords.com has also recieved a makeover. 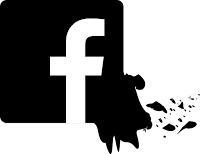 You can go there to hear more of Aldrin's tracks, see pictures and videos, or book his Live PA or DJ act for your next event. This title's definition is intended to inspire deep listening. Plug in your headphones and go for a ride inside your own imagination. This is the Fuel for that journey. Now you can go to the party of your minds eye and Let Aldrin provide the smooth sounds of his D&B. Intro - the lights are all off inside the arena as aldrin takes the stage. You suddenly see the lights slowly fade up revealing a stage of your imagination. Track 2 - I Don't Mind - Annother Groove gets underway this one has a slower section where I bring the beat down to half time for a bit. It's like a resting place before the real mind bending Destinations ahead. Track 3 - It Can Be Done - A simple reminder that whatever you face in life all you have to tell yourself is Yes it can be done. then you can do it. the seering deep Bassline on this track drives you flying at the spped of light across the world below. Track 4 - The Power - Im sure you all remember that tune from the 80's I've got the power. Well with this track you can have the power to be motivated in any direction. It's gettin kinda hectic. 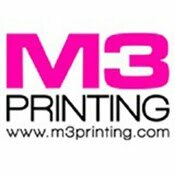 Track 5 - Goodnight - A deep trancy D&B production Simply putting it all in perspective. Good night indeed. you find yourself becoming lost in the music and the words all melt away. Now WAKE UP! Track 6 - Sexual Healin - Ahh You know whats up. After Goodnight When we get that feelin we need... well you know the rest. Smooth sounds propell this track through the night. Just hit Repeat. Track 7 - Sent To Me - I wanted to do a track featuring bjork's vocalsso I snipped a couple riffs from the song hidden place. Here is my new track . I have allways liked Bjorks voice and her productions. Hope you do too. Track 9 - Whos Bad - By this time you know whos Bad. Aldrins got the beats to keep you goin all night long but we have reached the end of annother journey. Track10 - Want my love - The final track is bringing down the intensity of the music and preparing us for the ending. The journey is over now but we will allways have the imagination of our minds eye. Brent Crampton ~ Omaha, Ne – Notorious for being one of the best events of the summer, catch the Labor Day-Eve annual boat party: SoundWaves 7. Happening on September 3, the pre-dock party begins at 8 p.m., and the boat sails from 10 p.m. – 2 a.m. on the River City Star boat, at 151 Freedom Park Road. 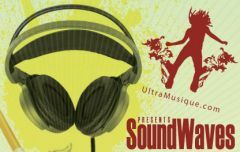 Tickets for sale online at www.ultramusique.com. Buy now because this will be a sold-out event! This year features three levels of music with three distinct atmospheres. The top deck features deep house, organic vibes, star-lit skyscapes and breeze-blowing from the troposphere. The line-up includes the Summer Drum duo in their last summer performance – Brent Crampton and Shif-D the percussionist, a rare CD release performance by LJ with free mix CD give-aways, and guest appearance by New Mexico’s top DJ – Chrystalline. The Main floor features big-room vibes and big-booming sounds with Lincoln’s top break beat DJ – Chief, a Progressive House set by KC promoter – Nology – a tricked-out set by Bricktop’s DJ Contest winner – Mix Masta Meza, and the classic close-out set of dirty beats by Nico resident – Myth. The bottom deck features the region’s top Drum and Bass act – Plan 9 and +One of internationally recognized Cymbalism Recordings plus a performance by the Psy Trance Latin-duo, Cesa La Die. Just imagine your Sunday night - you could be sitting in the same dive bar with the same boring music, or you could be cruising down the Missouri river with 350 other people having the swift breeze blowing through your hair while the music and drinks are pumpin’. I think the choice is obvious. See you on the boat! For additional information visit UltraMusique.com. Nathan McWaters ~ photos by joe & todd ~ Let me see your booty bounce! If any single sentence sums up the evening of the 11th of August at the Grand Emporium in Kansas City, Missouri, I think that one covers it. This was the first club, first set, and first event I’ve ever attended in the Midwest. Up on leave from Fort Hood and visiting “yon olde pal” David McGlothlin before my next tour in Iraq, it seemed the thing to do to not blow off phocas bringing in DJ Monk as the headliner for what was promised to be an evening of eclecticism the likes of which are seen by few yet spoken of often. I had very few expectations for this, since I knew little to nothing about Monk except for the work he’d done with Rabbit In The Moon, so I decided on the outset to throw out any kind of preconceived notion of how this might go down and just roll with it as it came. That was probably wishful thinking on my part, because while I may not have had expectations, I most certainly had desires. I went ahead and read up a little on Monk just because I’m a curious kind of cat about things like this, and in spite of the bio, there was still no way to judge just what the man was going to unleash on Grand Emporium. With the local duo Cold Front opening, it was a given that the lead-in was going to involve breaks, lasers, more breaks, more lasers, and did I mention breaks? Judging from prior knowledge with RITM, it was a toss-up as to what Monk would do, even with a breakbeat opener. We arrived on scene at about 2230, reasonably early yet with an air of just not being rushed for things. Cold Front was up and spinning, and it was definitely breaks. There were also definitely lasers, many many lasers. Phocas had said there was going to be quite the laser rig for this event, and they weren’t kidding. 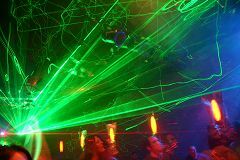 I hadn’t seen that many lasers in one place since The Crystal Method at Antro in San Antonio, where I was certain that I was going to catch one in the eyeball before that night was out, and Grand Emporium is a much smaller venue than Antro. The place looked like the Death Star trench run was going on, and we had been booked seats strapped to the front of Lord Vader’s TIE fighter for the floor show. It was pretty to see, and made my camera have so many fits that I gave up trying to take pictures. I left those to the heavy hitters present. In the midst of the light-amplified-stimulated-emitted-radiation, Cold Front was dropping a breaks set that was pretty solid. Aside from some technical issues with the equipment at some really bad times that put a dint on the performance’s polish, Cold Front weathered their storm well, and the crowd built up during their set as the evening progressed. The only thing was, what Cold Front was dropping wasn’t doing a whole lot for me. It was almost-fluffy party music, and while the crowd was clearly enjoying it, I personally got little to no emotional satisfaction from it. Admittedly, I lean more towards the grittier side of EDM, deep and dark. As their set progressed and the technicals were ironed out, RJ Bass and DJ Prato started trading off deck time, which would have livened things up pretty well had they been doing it as a “vs.” faceoff as opposed to continuing the light and airy stuff they were dropping. So while the crowd was amping to it, and the set was well-mixed and well-blended, from a personal standpoint it was like expecting a double-espresso mocha and getting Kool-Aid instead. By the time Monk showed up, I think I had gone through three bottles of water and gone to find an ATM just to catch a break from the PLUR. When I got back, I was ready for some Monk to throw down serious tech-trance, DnB, and house to drag this party into a much dimmer light. As it turns out, Cold Front’s set was the perfect opener for Monk. His transition right off of Cold Front’s last track was a beautiful piece of break-work. The Dreadlocked One built that sucker up like Rome, and then promptly pillaged it. For the first ten minutes of Monk’s set, it was Booty House. I was astounded. The crowd was going wild for it, and I was dumbfounded. 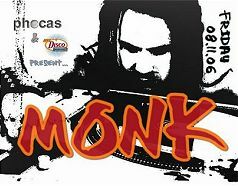 I understood that Monk came pre-warned that there was a significant hip-hop influence to a lot of his work, and that’s not necessarily a bad thing when crafted into EDM, provided the mixing is tight, the beat is thumping, and it doesn’t fall victim to redundancy. Booty House for ten solid minutes, followed by a continuation of basically what Cold Front had dropped, and I started wondering where RITM was. The crowd was filling the floor, though, pausing only to hit the bar and then return to the floor. Lasers were flying everywhere, and Monk was dropping what had to have been personal mixes of his own crafting, including a mix of Bubba Sparxxx w/ Yin-Yang Twins “Ms. New Booty” blended with Salt ‘n Pepa’s “Push It” that even I found fascinatingly well-blended. Fun was being had by all. . .but it wasn’t doing a darn thing for me. was proving it most adequately. He gave them exactly what they wanted. He is a consummate showman, the lasers bothered him not a bit, and he was clearly having a good time absorbing the love the crowd was giving back to him. For me, the inner-EDMer in me who demands satisfaction was left holding the begging bowl and plaintively crying out for more, while the crowd around me feasted on cotton candy. Nevertheless, the crowd was extremely well-pleased, Grand Emporium wasn’t exactly gutted and emptied by my disappointments, and I don’t think Monk or Cold Front had many or any complaints to voice about the venue or the participation level of those present. If club sets like what I’ve described are definitely your thing, you would have had a thrill and a half with the kind of stuff Cold Front and Monk were bringing to the floor. This jaded Texan may not have gotten the transcendent experience he wanted from an RITM founder, but that shouldn’t sway a soul if you’re looking for something else from a set. Mike Zelezak ~ The split-level Club Hide warehouse at Seventh and Folsom on Saturday venue is usually a no-frills, rock and punk venue, but the booking agents embrace variety a few nights per month. On July 29, drum and bass artists bucked their typical back/side-room status to take over the club’s cavernous main room. 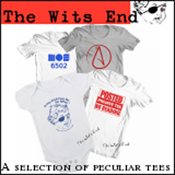 The freeform interpreters of the woofer-dependent genre were fenced off from the audience by equipment in a restricted petting-zoo of lyricists. MC Child visibly struggled with the stage layout and was meek compared to his more experienced peers who sung later in the evening. This initial disconnect with the audience was unusual for such a small venue, but chivalrous DJs assisted ladies to mount the amps post-medianoche. Not unnoticed, a mostly female contingent dominated the club thus kicking the stereotype of a male-dominated jungle night. One of the night’s attendees, Debbie, appreciated the steady build of MC-vigor throughout the night as the venue reached fire-code capacity. She said earplugs became a must as Femme Fatale’s forearm tatts flexed while operating his heavy machinery. Last up on the decks were Mathematics who did not struggle to make everyone (including the bartenders) move. They passed the NYC-UK jungle torch to the headlining duo of John and Matt, Cyantific, who kept the connection with the Left Coast audience. Despite the quality beats, intermittent retreats to the upstairs house room or Hide’s open-air terrace menagerie with Asian statuary allowed for some D&B relief and hearing preservation. Another SoMA regular, Beth, admitted she was not impressed with the night’s noise—alluding to the difficulty the style has standing on its own with the signature syncopation becoming tedious. She noted her preference for the sound coming from the curiously near-empty House room, and that she’ll be attending the Summer Music Conference (formerly known as the San Francisco Love Parade) in a few weeks to hear a buffet of all styles with a small helping of D&B instead. Much of the jungle talent from this night has been graciously invited to that massive to perform to city crowds electronic driven crowds the city has not seen since September 2005! For more information on the chill Club Hide, check out SFClubHide.com and you can find more information about Cyantific atHospitalRecords.com and Mathematics at SocialStudiesMusic.com. 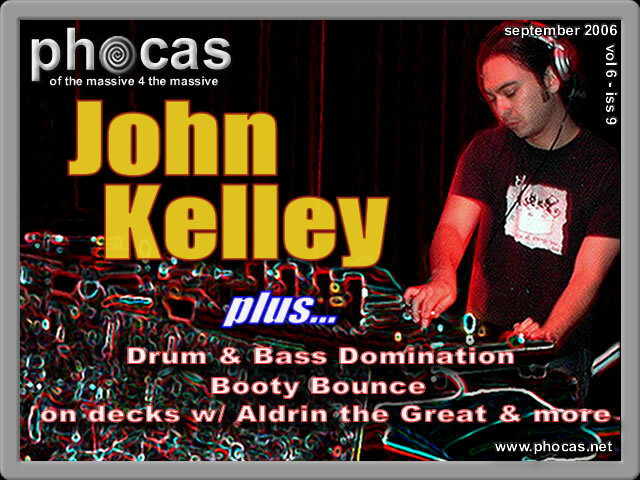 Kansas City - Friday, September 8, 2006 - ~phocas~ and Disco Productions proudly present the third installment in their concert series featuring some of best acts in the Dance Music Industry! Following the huge success of Nigel Richards and Monk of Rabbit in the Moon, this third event will be a very special engagement with internationally acclaimed West Coast Breaks pioneer, John Kelley! Last appearing at the first Chaos Theory party, the dance floor swelled with thousands of dancers, all grooovin to his signature "Desert Breaks". Breaking out of the Desert, he will be coming immediately following his performance at this year's Burning Man Festival in Nevada. In the more intimate setting of the Kansas City's First House of Music, the Grand Emporium this will be a rare opportunity for Kansas City to witness a true legend up close and personal. For those that love to dance, this will be a night of musical beauty and genius that will be remembered for a very long time to come! Don't miss this chance! John Kelley was originally known for his sets at Full Moon Gatherings. The influential series of raves held in the deserts outside Los Angeles during the mid-'90s created an emergent sound, led by breakout producers like Crystal Method, Überzone, Bassbin Twins, and Electric Skychurch. Fused with the breakbeat genius of UK acts such as Leftfield and Underworld, Kelley pushed the intensely funky, hard sound of breakbeat techno from the underground into the masses. 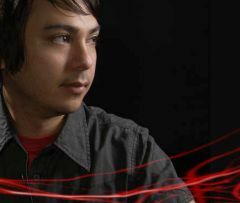 For the past decade, Los Angeles native John Kelley has been considered one of North America’s foremost breaks DJs - a true pioneer of the West Coast sound. Over the past few years, he has been busy perfecting a selection of edgy, well-crafted tracks that combine his signature desert breaks with a new flavor of hard tech-hop and broken beats. The release of his debut artist album, “A Night in the Park”, marks a new chapter in Kelley’s long-standing career and, most notably, his transformation from DJ to world-class producer. 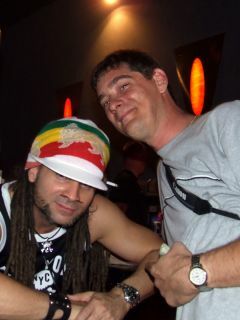 In 1996, Kelley released, Funkydesertbreaks, his first mix album with Moonshine Music patterned after his desert sets. The compilation became an instant hit, sparked a US tour and spawned a sequel one year later. 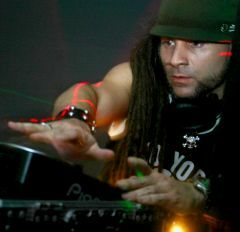 With 1998’s “Knee Deep”, he exhibited a transition into a more club-friendly mix of house, techno, trance and breakbeats. The release of “High Desert Soundsystem” and “High Desert Soundsystem 2”, released in 1999 and 2000 launched a number of tours with The Crystal Method, Orbital, Carl Cox, Frankie Bones, Darude, and Christopher Lawrence. The well received mix, “United DJs of America 19”, followed in 2001 and went on to become nominated at the 2002 Winter Music Conference as one of the best DJ mix albums of 2001. After five grueling years on tour, Kelley began to focus on writing his own music. 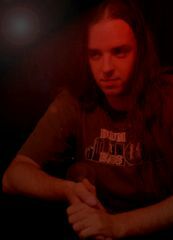 Along with friend David deLaski (aka Lord Runningclam), Kelley launched the label and production company Ball of Waxx in 2002. 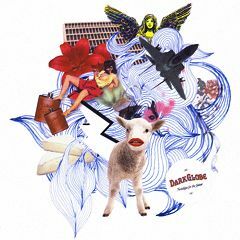 Teaming up with the studio talents of deLaski, Simply Jeff, Moontribe’s Brian Seed, and Brian Saitzyk (aka Eastern Sun), Kelley created a multitude of productions, including two songs on the Ball of Waxx downtempo compilation “Groove Closet”. 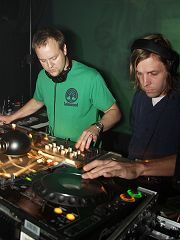 With the success of the collaboration, Eastern Sun and Kelley followed up in early 2005 with a full-length downtempo CD, “In Emptiness”. Meanwhile, the team of Kelley, Saitzyk and Brian Seed embarked on creating techno breakbeat tracks for John’s debut artist release. His latest work of art, A Night in the Park, has been praised by beatmasters The Crystal Method as a stellar artist debut from the west coast breaks pioneer. Clearly, this new chapter of Kelleys career has transformed him from renowned DJ to producer on the forefront of the electronic music scene. Don’t let the title fool you. It’s not the type of music you would listen to while taking a romantic stroll through the park at night with your beloved, holding hands, watching the stars glittering above. This is an intense, gritty, uncompromising hybrid of breakbeat and techno that seems more suited for the soundtrack of a high-speed police chase through the shadowy backstreets of Los Angeles. 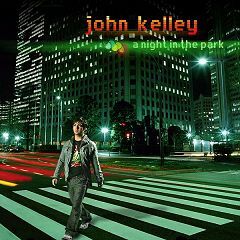 John Kelley, the legendary pioneer of West Coast breakbeat, has returned to the scene with his debut artist album “A Night in the Park”. The first track on the album, conveniently titled A Night in the Park, quickly explodes into a spinning cocktail of electro-tinged techno funk. As the album progresses along, the sounds range from the chunky house rhythms of Fat Stacks to the hip-hop inspired turntablism of Funkasaurus. Breaking things down on the final track, the hypnotic groove of Chopstix almost seems to emerge from the speakers, pulsating and rotating through the listeners ear canals until it retreats back into the dark, edgy depths of the Park. Armed with a sound that has been described as everything from tribal to techno funk, John Kelley has proven himself to be the leader of American breakbeat techno. Kelley and co-producers, Moontribe DJ Brian Seed, Brian Saitzyk and Simply Jeff, have put together a journey of an album a range of sounds and speeds that come together in a whirlwind of flawless electronic music. The only question is, are you up for the ride? John Kelley's "Chopstix" and "A Night in the Park" were both featured on Showtime's Huff. The series, starring Hank Azaria and Sharon Stone has tapped four tracks from "A Night in the Park" for the new 2006 season. John's track Desert Days will make it's network broadcast premiere on Wednesday October 5th, featured in an Episode of CSI: NY airing on CBS at 10pm ET/PT. To learn more about John Kelley and get some free downloads and stuff, check out his web site at djJohnKelley.com,BallofWaxx.com, MoonTribe.org. As well, there's always ... MySpace.com/djJohnKelley. 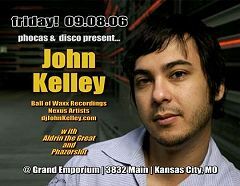 Be sure to catch John Kelley at the Grand Emporium on Friday, September 8, 2006. Advance tickets for this event can be purchased online at GrooveTickets.com for only $5. In the meantime, the popular internet radio program, Frosted Breaks provided us with a copy of a mix he did for them just this past February... click HERE to get it now! Also appearing will be Aldrin the Great, performing a mix of Progressive Drum & Bass and opening the night will be a newly discovered gem in the Dance Music Industry of Kansas City, Phazorslut, doing a bit of ElectroBreaks! 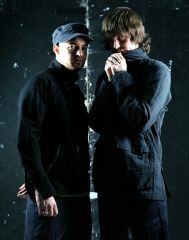 You can find out more about these two by either checking the "on decks" column this month, or just check my "Top 8 Friends" on MySpace.com/phocas! For the cover this month, I dipped back into the archives for a shot that I got of John Kelley over three years ago at Chaos Theory. 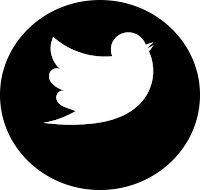 Of course, I had to play with it a little in Photoshop because it really wasn't all that fabulous. It really wasn't all that clear either, but it was the best I had and it actually turned out interesting enough. I really am looking forward to his return next week as I know many others are too! An event that also heralds another birthday for me, it has been entirely too long since he was in Kansas City. As well, it had been for Monk, pictured here with me. Aaron grabbed this shot at the end of the night last month, while we stopped to talk for a minute and caught our breath after his fantastic performance which kept people dancing for hours! Elsewhere in Kansas City this month, Kyle Pound made a special appearance to a disappointingly thin crowd, much the same as it was for big-name DJ Steve Porter just last week at the Voodoo Lounge. Even in San Francisco, Mike noted extremely sparse attendance in the House music room of Club Hide. It does appear that with diminished attendance at many other House music events around the country, the time is definitely ripe for, and dancers are making a statement that they want something a little more unique than the same old 4/4. Ready, waiting and gaining attendance at every event that happens for them, Breakbeats and Drum & Bass are standing up to the challenge. With striking similarities to much of the mainstream music available now, it's no surprise either. 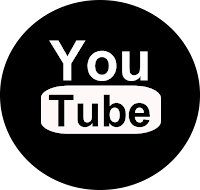 Modeled on these mostly underground genres are some of the most popular hits in the world. From HipHop to Rock, their roots almost always find their way back to the broken beat. I suppose you could say this is much of the reason we decided to go in the direction we did with our series of concert events at the Grand Emporium. We thought we should offer an alternative, a different beat to dance to that at the same time is more familiar, more comfortable and ultimately... more fun. Overall, I cannot think of anyone better than John Kelley to bring you that sound! He is just the man to get you moving! Check out the story on him in this month's issue, especially the links and his MySpace page. Personally, I am totally hooked on the Funkasaurus track. I can't wait to see him throw that out there live next Friday!